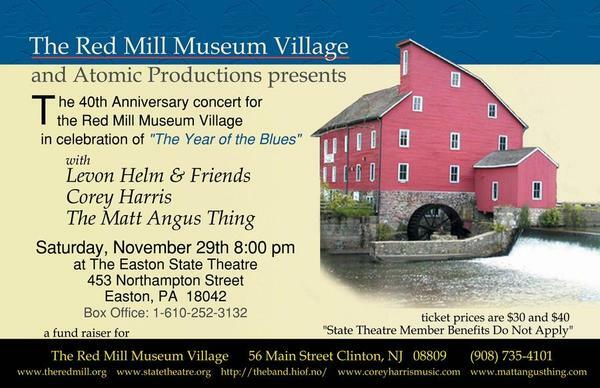 40th Anniversary concert for the Red Mill Museum in Clinton, NJ. 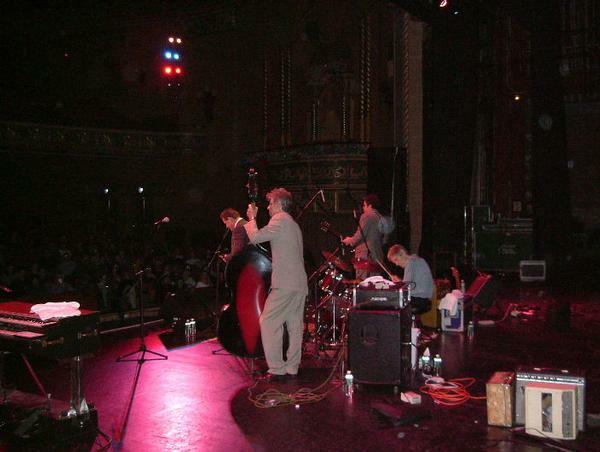 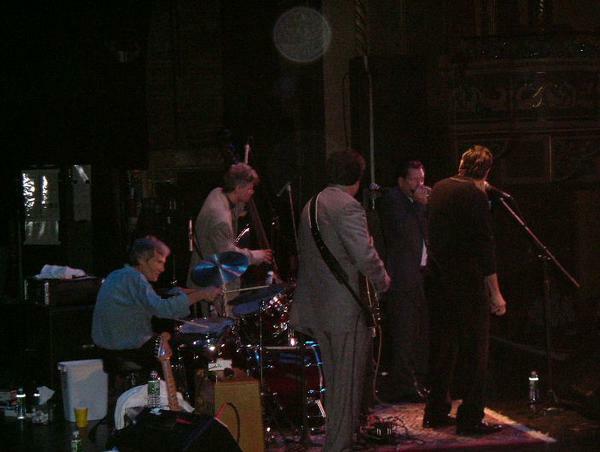 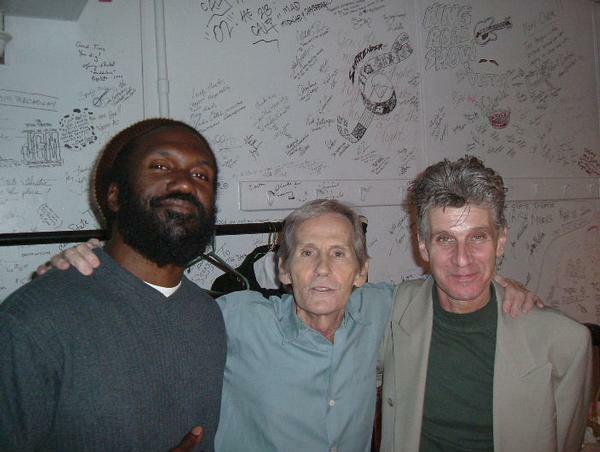 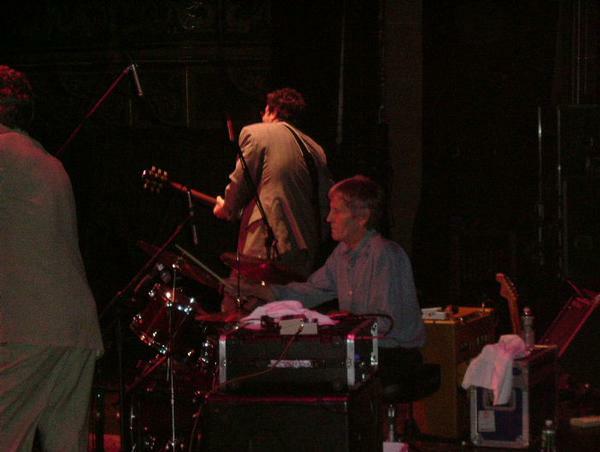 "Levon Helm and Friends" (aka Levon Helm and the Barn Burners) are Steve Guyger (vocals), Jeff Sarli (bass), Pat O'Shea (guitar) and Levon Helm (drums). 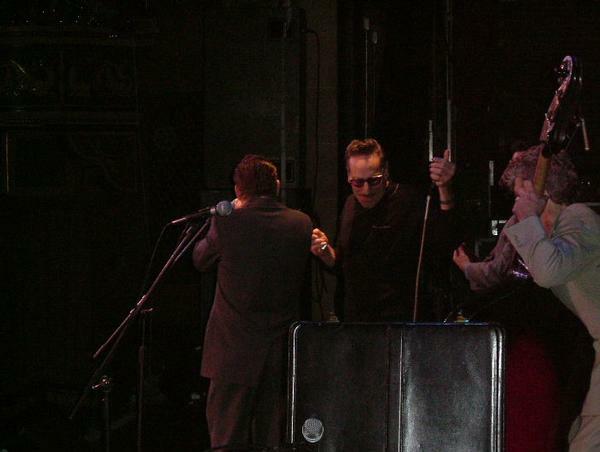 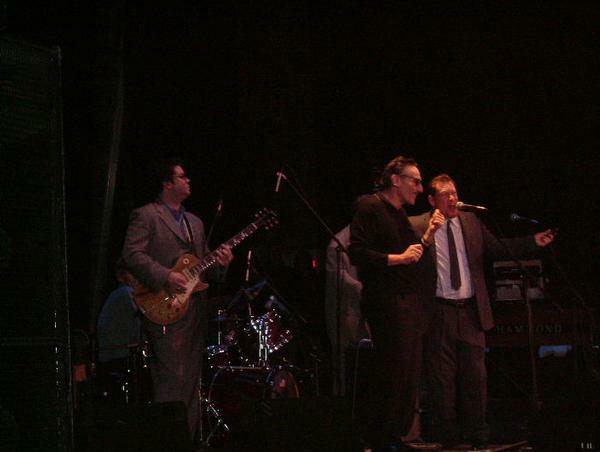 Rick Estrin (harp player for Little Charlie & The Nightcats) sat in for a few songs. 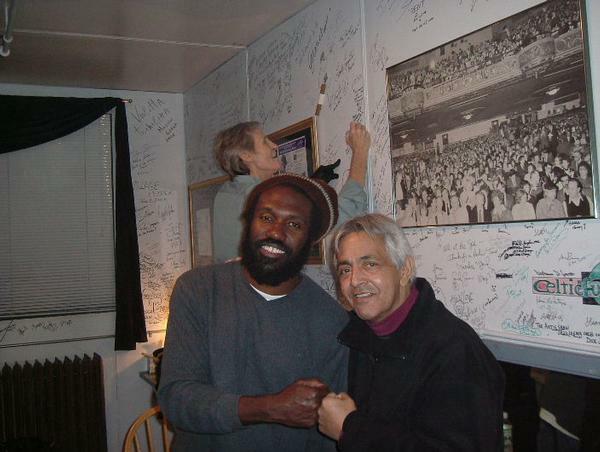 Bluesman Corey Harris and The Matt Angus Thing from Clinton, NJ, were also on the bill.